While we all gear up for this weekend’s matches I offer up one quick prediction: England is doomed. It pains me to say this as I had great hopes for this England side. Capello seems a Mourinho without the smarm. David James is at that stage that older keepers, baseball pitchers and country club tennis players reach; they stop relying on power and athleticism and depend on guile and knowing the angles. Rooney, for all his bluster and despite playing for the loathsome Manchester United, has thoroughbred speed and a masterful sense of improvisation inside the eighteen. Ashley Cole, Frank Lampard, Jermain Defoe, even the wobbly Emile Heskey all inspired a sense of optimism about this side, that maybe this was the team that would do England proud. The early stage has shown little to justify that optimism. This is a joyless, tight group that is playing with the abandon of a Lutheran dance marathon. As Capello rants and cajoles with near hemorrhage level intensity from the sidelines, England plays not to loose, as if they are seeing the headlines savaging them after another loss against a lesser side. One moment in particular seemed to sum up this angst. Against Slovenia on Wednesday there was a scramble in from of the England goal and the ball ended up on the foot of a Slovenian forward. 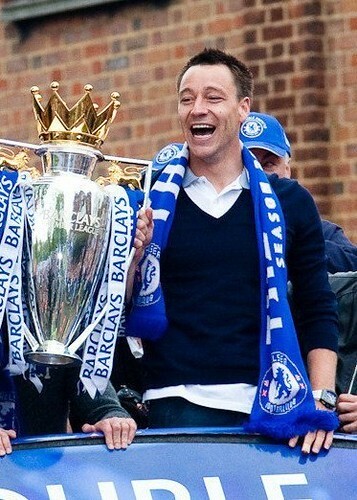 It was a dangerous moment to be sure, but John Terry was nearby. A quick move to dispossess would have erased the opportunity and Terry was in position to do just that. But JT hesitated for just a millisecond, perhaps fearful of a mistimed tackle, and did something I don’t think I’ve ever seen: he threw himself, head first, into the path of the Slovenian shot. He blocked the shot with his head. Let me write that again: He blocked a shot by putting his head in-between the ball and the goal. Effective? Can’t really argue that point. Brave? I suppose that depends on how one defines bravery. Desperate? Without question, and if the same level of tentativeness exists on Sunday against Germany the England team will be back on English soil by early Monday morning.